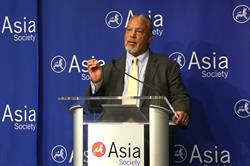 NEW YORK, NY--(Marketwired - September 22, 2016) - Asia Society launched today the Center for Global Education (CGE) to address one of today's most critical challenges: how to educate all students for employability and citizenship in a global era. The Center will bring together the most influential educators, businesses, and government officials; commission research and publish insights; and partner with schools and education systems to change policy and practice. "Today's problems -- mass migration, violent extremism, inequality, climate change -- transcend international borders and demand global cooperation," said Asia Society President and CEO Josette Sheeran. "Meeting these challenges requires a new educational model, one that prepares students to be successful in a globalized world." For decades, Asia Society's education efforts have focused on developing best practices and resources for educating children about Asia and the world. That work has grown in scope over the years, and is today centered on fostering students' global competence -- the knowledge, skills, and dispositions that are the foundation of global citizenship. Led by Dr. Anthony Jackson, the Center will build on that work with the goal of transforming education worldwide and ensuring that all youth, regardless of background or circumstance, develop the skills required to thrive in an interconnected world. "The Center comes at a critical inflection point when there's been a sea change in the education field -- and society in general -- in understanding the need for young people to have a different set of knowledge and skills for a different economic and social environment," Jackson said. Asia Society marked the Center's launch with a high-level convening in New York of education leaders from around the world, including UNESCO Director-General Irina Bokova, Global Business Coalition for Education Executive Chair Sarah Brown, Teach for All Founder and CEO Wendy Kopp, and OECD Director for Education and Skills Andreas Schleicher. "UNESCO has played a leading role in taking forward global citizenship education. The fact that it is explicitly recognized in United Nations Sustainable Development Goal 4 reflects the international community's affirmation that education is on the frontlines of building a culture of peace today and in preventing violent extremism," said Bokova, who also serves as honorary chair of the CGE Advisory Council. 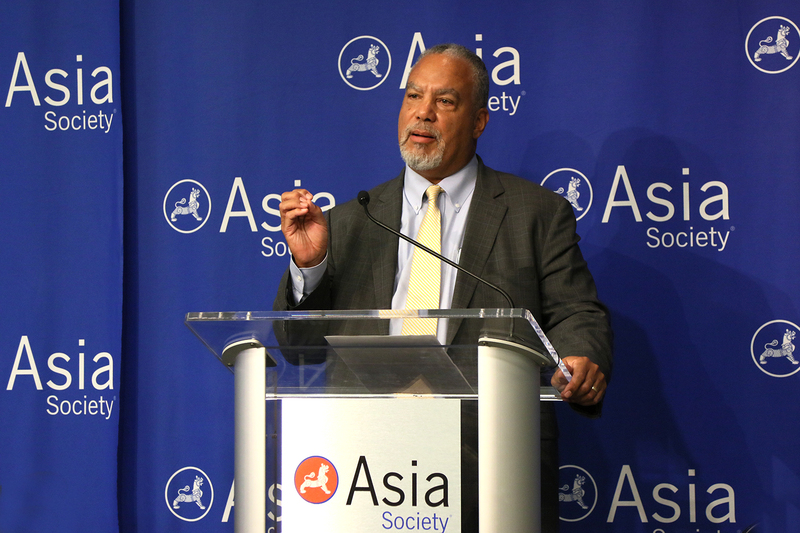 "We need partnerships across the board to share best practices and advance new global competences for living together, and I am delighted that the Asia Society, through this new Center, is putting its expertise behind this shared priority." At the launch, the Center also announced a strategic partnership with Arizona State University (ASU), the nation's most innovative school according to U.S. News & World Report rankings. This partnership will bring global competence education online and make it accessible to educators all over the world. A key focus of this partnership will be to enable countries to achieve United Nations Sustainable Development Goal 4.7, which calls for all learners to acquire the knowledge and skills needed to promote global citizenship. "Today's learners will enter a borderless economy and an increasingly diverse society," said Michael Crow, President of Arizona State University. "This partnership will equip teachers, regardless of where they are, to prepare their students for jobs, friendships and daily life that crosses languages and cultures." The International Studies Schools Network is a group of over 40 schools in 8 U.S. states dedicated to building students' global competence, and developing best practices for educators. Schools in the network act as models for school reform while preparing predominantly low-income and minority students for college and career in a globalized world. The Global Cities Education Network is an international learning community of city school systems in Asia and North America. The network shares promising practices to develop responses to systemic education challenges, ultimately improving education for all students. China Learning Initiatives strategizes and executes a multitude of projects aimed at making Mandarin language learning in the US mainstream, and generating engaging, relevant, and approachable learning content about China for the American public. Global Learning Beyond School works to increase the quantity and quality of global learning in afterschool and summer programs. The initiative partners with youth-serving organizations that share the mission of supporting student success within and beyond school – in work, citizenship, and life in the 21st century. The Center for Global Education at Asia Society is supported by foundations, founding corporate supporters, and a council of advisors and members comprised of education and business leaders from Asia, the United States, and around the world. The CGE Advisory Council, co-chaired by Yu Lizhong and Ido Leffler, is listed on the Center for Global Education website. Reports, briefings, and public events from the Center for Education at Asia Society are available online at AsiaSociety.org/education.